Senior Elizabeth Ording and junior Lindsey Winner both were named to the 2018 Midwest Athletic Conference All-Conference first team for Versailles volleyball. 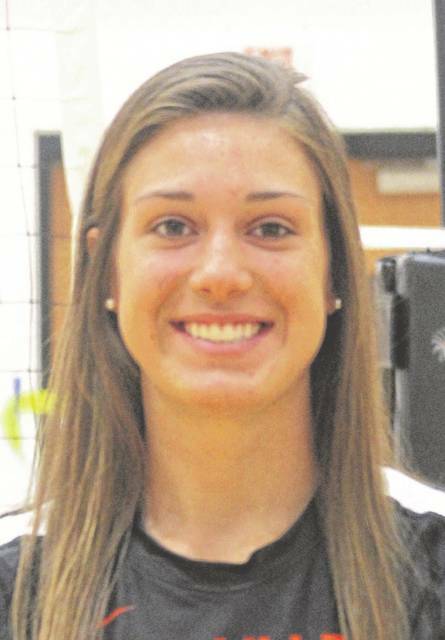 Ording and Winner both rank among the Darke County area leaders in kills with 279 and 269 respectively. Winner also is at the top of the blocks category with 84, while Ording is third with 61. Also earning recognition for the Tigers were Kelsey Custenborder and Caitlin McEldowney, both of whom received honorable mention. 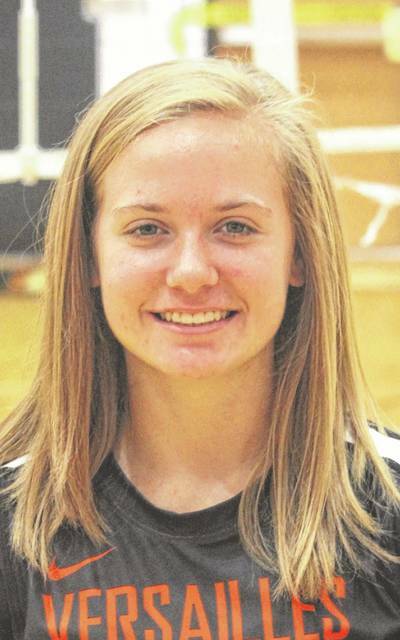 Custenborder leads the area in assists with 584, while McEldowney is near the top in digs with 275 and in aces with 26. St. Henry was the team champion with an 8-1 mark and their coach Tricia Rosenbeck was named MAC Coach of the Year, wile Coldwater’s Lauren Gilliland was named the 2018 MAC Player of the Year. 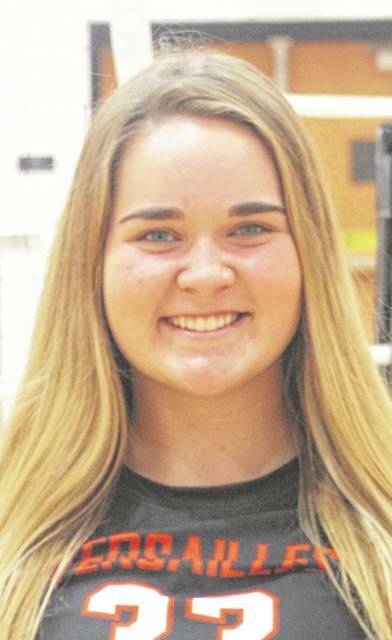 Other MAC first team players are Cassidy Martin and Madison Rammel of Fort Recovery, Carrie Fesenmyer and Natalie Rethman of Marion Local, Macy Puthoff of New Bremen, Tasia Lauth of New Knoxville, Hannah Bruns, Carleigh Deitsch and Addy Vaughn of St. Henry. Second team members are Katie Alig and Taylor Siefring of Coldwater, Hannah Knapke of Fort Recovery, Aubrey Thobe of Marion Local, Danielle Barhorst of Minster, Rachel Kremer, Claire Pape and Joise Reinhart of New Bremen, Taylor Doty and Carly Fledderjohann of New Knoxville and Ashlyn Gerlach, Danielle Lang and Ashley Siefring of St. Henry. 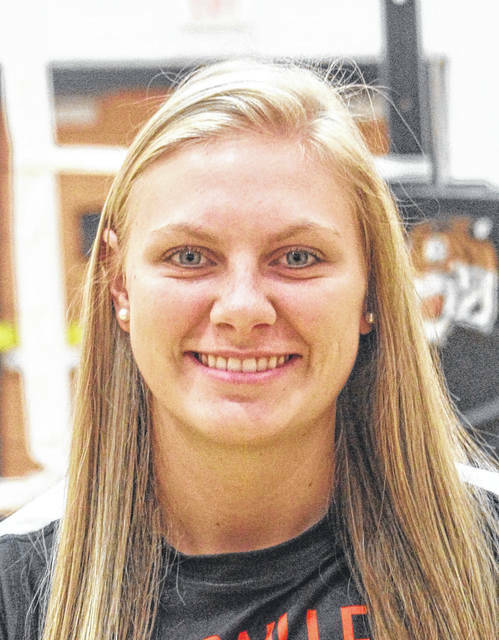 The Franklin-Monroe Lady Jets will host its annual Youth Girls Basketball Witner Fundamental League beginning in December and running through mid-January. The league is open to any girls currently in grades 1-6 with instruction to be given by FMHS Lady Jets basketball players and coaches. Cost for the league is $25 per player and each will receive a T-shirt and free admission to the high school girls game against Arcanum at 5:30 p.m. on Jan. 17, 2019. The games will be held from 8:30 to 10 a. m. On the following five Saturdays: Dec. 1, 8, 15 and Jan. 5 and 12. For more information, contact the athletic department at (937) 947-1328.